AVO 8, AVO 8 Mk2, AVO 8 Mk3, AVO 8 Mk4, AVO 8 Mk5 and AVO 8 Mk6. 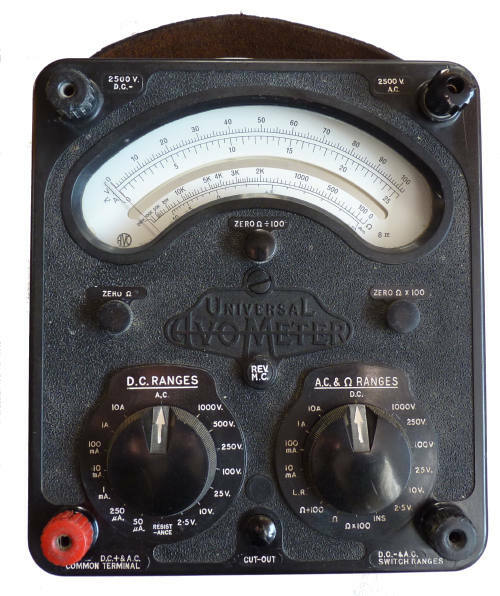 The Universal AVOmeter model 8 was the most ubiquitous multimeter in the AVO range which started life back in 1923, and although it was initially a DC-only instrument many of its features remained almost unaltered right through to the last Model 8 of 2008. In particular the mirror scale, the "smiley" meter scale, the two switches and two terminals. 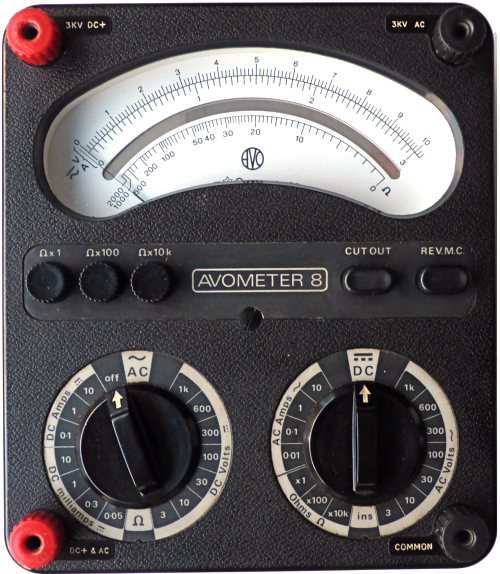 AVO multimeters are renowned for their reliability and robustness, the early incorporation of a mechanically operated cut out linked to the meter movement and the two switch range selection system have endeared these meters to generations of electrical and electronic engineers. 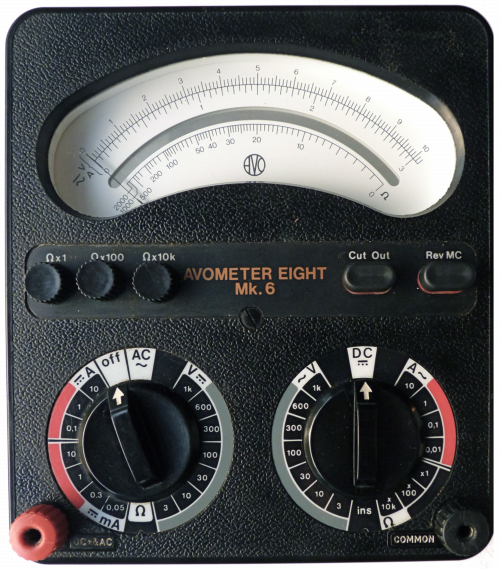 By 1965, the company had already created over one million AVOmeters. 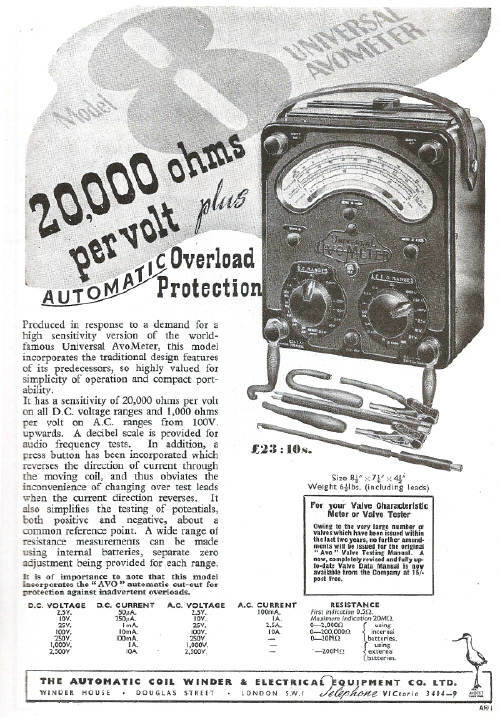 The firm also produced a range of smaller multimeters, the AVO Minor and later the AVO Multiminor as well as a number of special instruments such as the Heavy Duty model. Production of the iconic model 8 meter ceased in 2008. 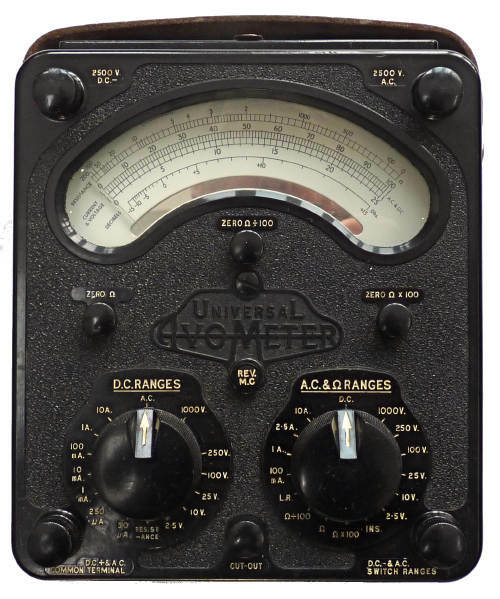 Though known for their Avometer general purpose multimeters, they made a wide range of test gear including valve testers, oscillators and light meters. You will find more information here about these instruments and other similar models. 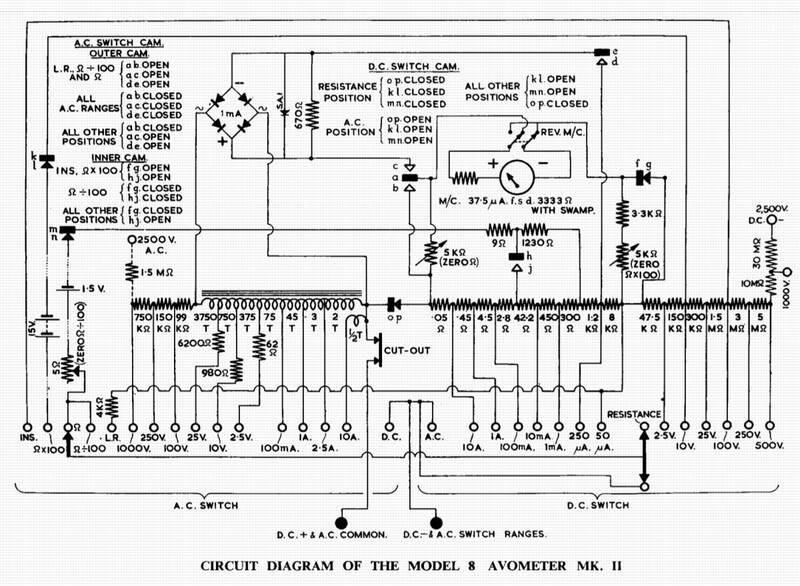 AVO also produced a range of smaller multimeters which are described here. It was given to me by Richard Fuller, it belonged to his late Father in law. 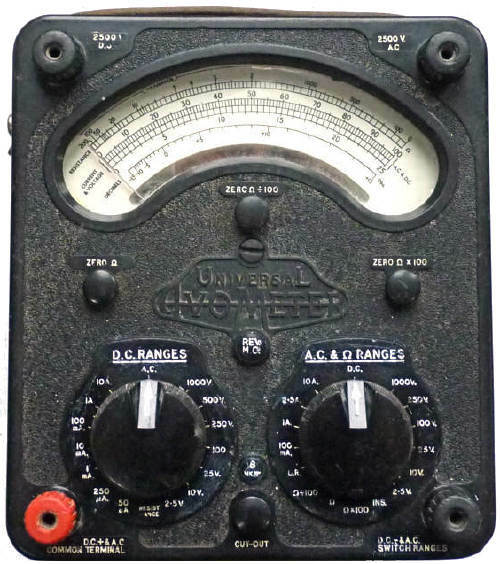 (1) The original model has black terminals of the same type as the Model 7 and model 40 instruments and does not have a 500 Volt DC range. 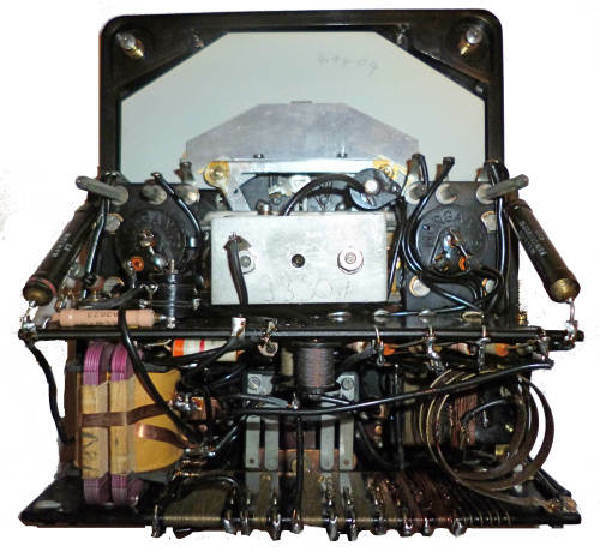 (2) The battery compartment on the MkIII is fitted with two fuse holders one to hold a spare and the other to protect the instrument. 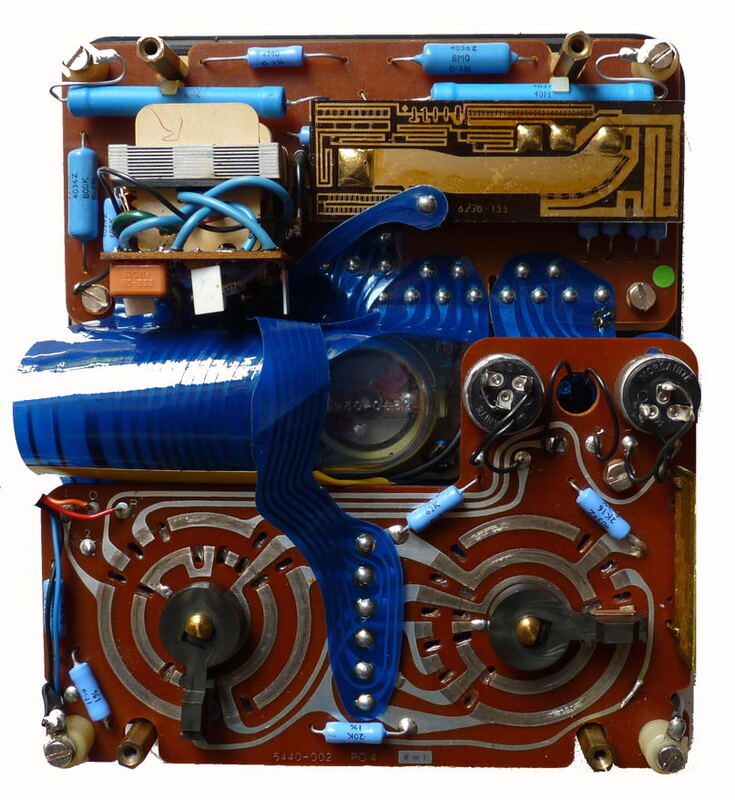 (3) Germanium diodes rather than a copper oxide rectifier is used for AC measurement. (4) Several of the purpose wound resistors have been replaced with conventional metal film types. 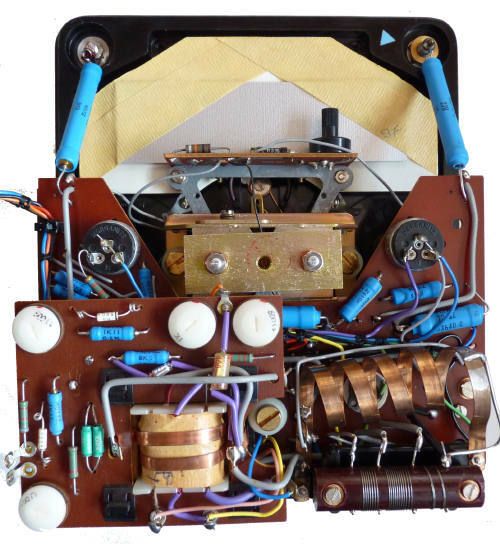 (5) Most of the purpose wound resistors have been replaced with conventional metal film types and the internal construction is very different in the MkIV instrument. (6) The early models are housed in black Bakelite cases and the MkIV is in an olive green thermoplastic case. 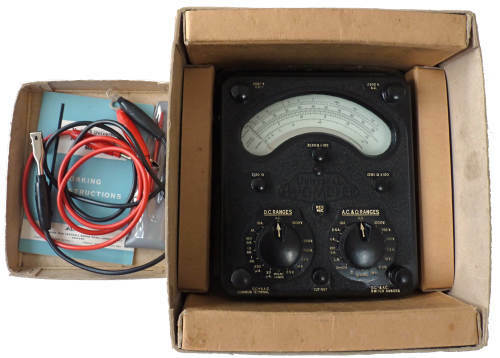 AVO multimeters are renowned for their reliability and robustness, the incorporation of a mechanically operated cut out linked to the meter movement and the two switch range selection system have endeared these meters to generations of electrical and electronic engineers. 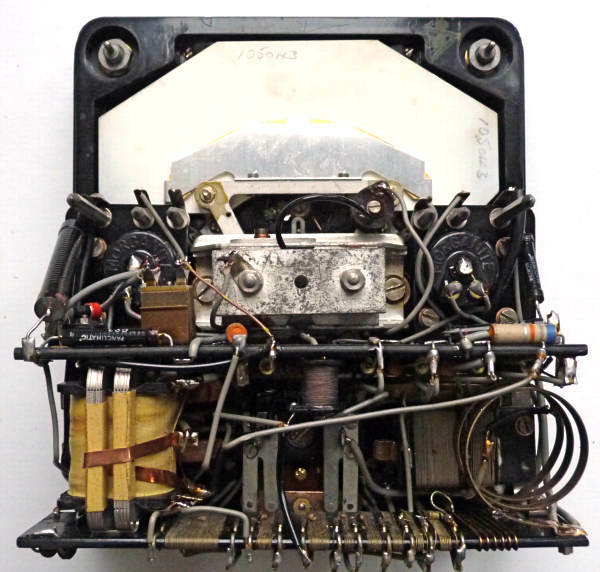 The contacts for the fuse were also corroded and the high resistance prevented the instrument from being zeroed. The contacts which were meant to be closed on the resistance ranges were dirty and causing erratic readings. This is the AVO8 that belonged to Richard Fuller's Father in Law. 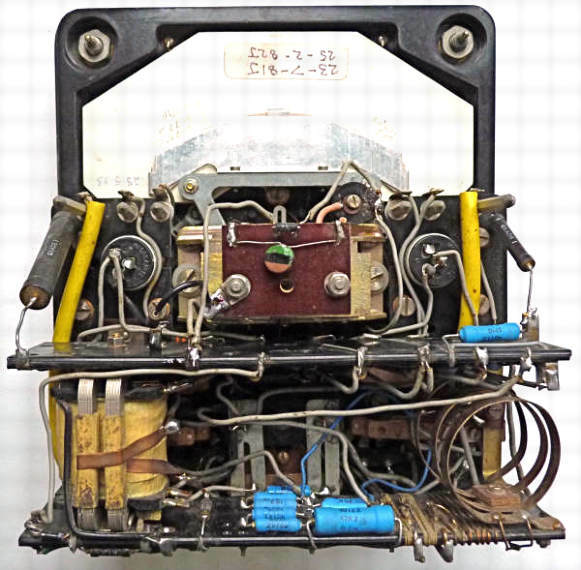 It looks as if the meter has been repaired as the serial number on the scale has been obliterated, the genuine AVO leads are replacements and the instruction manual is that for a MkIII meter. It arrived in this purpose made cardboard box which has kept it in first class condition..
What is it worth? You should be able to buy a model 8 MkII for �- 20. Read the comments at the bottom of the page before considering the purchase of one of the later models. How old is it? Most AVO meters can be dated from the last 3 or 4 digits of the serial number under the right hand end of the scale. The serial number on later models have a self adhesive sticker on the right hand side of the case. These define the month and year of manufacture. For example No. 105043-360 would mean that this one which was bought new by my father was made in March 1960 and 79168-468 which was given to me by Charles Husband was made in April 1968. Later models use the BLR154 type, both are 15volt and rated at 40mAh. Where do you buy a replacement for the type BLR121 15 volt Battery? http://www.maplin.co.uk/ then search for battery blr121 which cost cost � 9.99 when I last looked. http://www.cellpacksolutions.com is another source for batteries, they will even make up special batteries to your own specification. Or if you want to use readily available batteries and have a soldering iron you can wire two 9 volt PP3 batteries in series with a 5v zener diode, insulate the metal cases and slide them in sideways between the contacts for the correct battery. 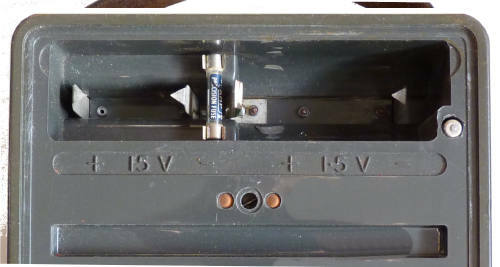 The connecting wires can then be wedged behind the contacts. No guarantee, but it works for someone who visited this page. Another suggestion Purchase from your local "Pound Shop" a card of assorted button cells and select ten of them (they need not be the same size). Cut a small block of wood 34 mm long and drill an 8mm hole through it. Cut a slot in one end and glue a thick piece of wire into it as a contact. Find a small helical spring (mine was from an old lamp holder) Take a narrow piece of masking tape and tape your ten cells into two bundles, insert them into the wood block with the spring in between. You can stop the cells from popping out when inserting the block with a thin piece of metal. 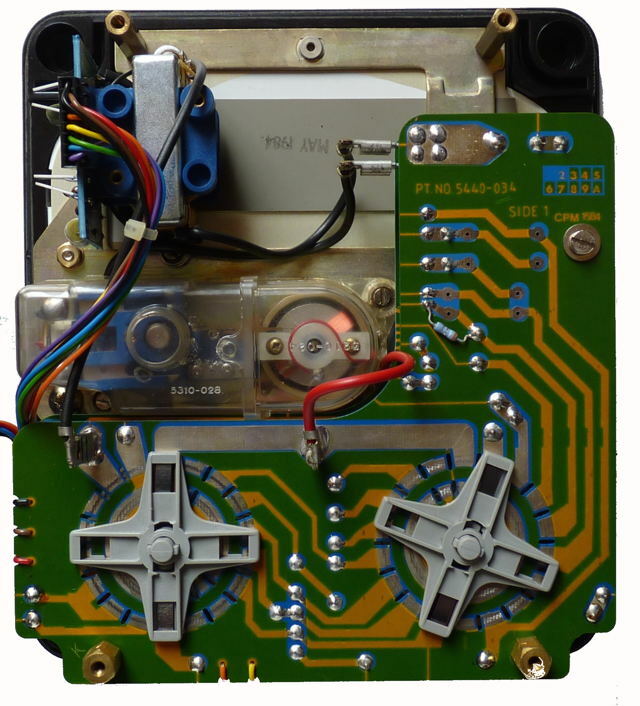 Alternatively use the plastic casing from a BLR21 and insert a new set of ten cells kept in place with adhesive tape. Repairs? A small (Father and son) company http://www.algo-sales.co.uk are repair agents for Megger/Avo. Some of their calibration standards are of extremely high quality and manufactured by Sullivan and Cambridge. 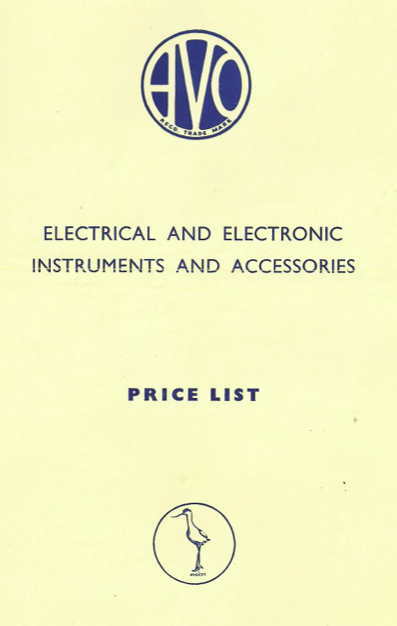 They also have some spares for old instruments, Avo meters in particular if you ever need any. One problem I have experienced and have been asked about in the past is that the meter works on everything other than the resistance range[s]. If the contacts for the fuse or either battery are corroded the high resistance would prevent the instrument from being zeroed or even reading at all. It may be that the contacts which are meant to be closed on the resistance ranges are dirty and causing erratic readings. 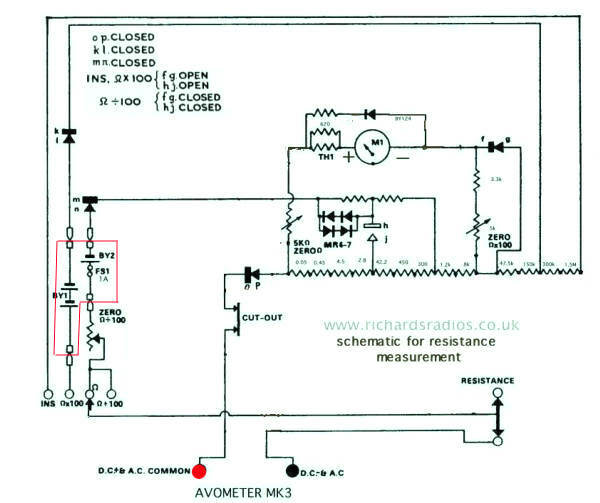 To help understand the circuit I simplified the diagram click here by omitting all the parts that do not come into play on the resistance ranges. Although the diagram is based upon the Mk3 model the earlier and later models are substantially the same. 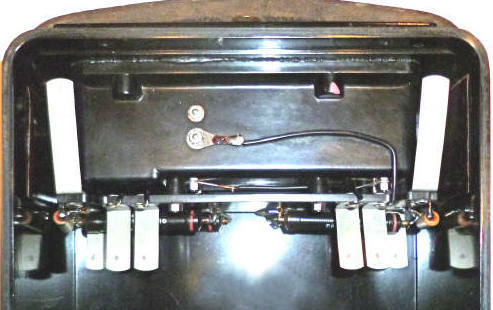 The batteries are housed in the lower part of the case and the connections are made via pillars with pointed ends which mate with leaf springs on the inside of the case [the red lines on the diagram]. AVO Model8 Mk4 battery compartments and connections to meter. 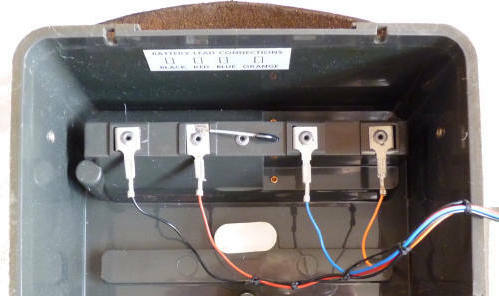 After checking the contacts which mate with the batteries for corrosion and the fuse and it's holder [not all models have a fuse] I suggest you make sure that contacts between the leaf springs and the pointed pillars are OK. 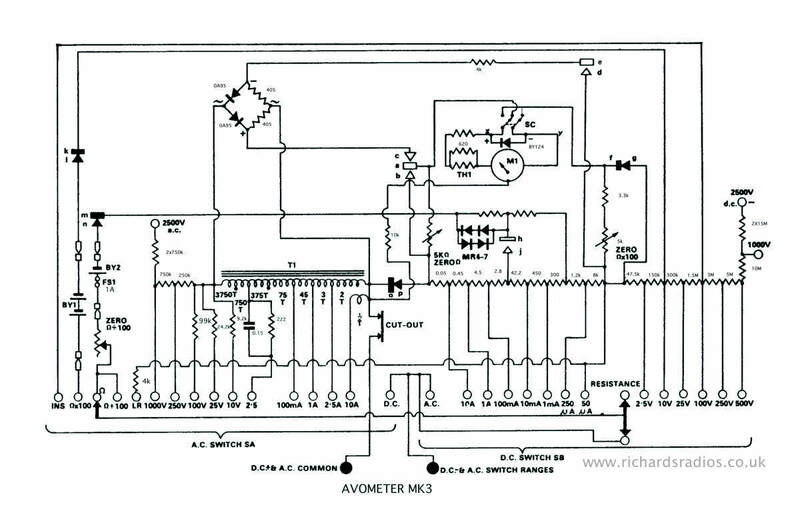 If none of the above work the contacts on the switches or the zero rheostat may be at fault. A piece of thin card soaked in switch cleaner moved back and forth between the switch contacts may solve the problem. History AVO Ltd. used to be at Avocet House, 92-96 Vauxhall Bridge Road, London, SW1 and was a member of the Metal Industries Group of companies. 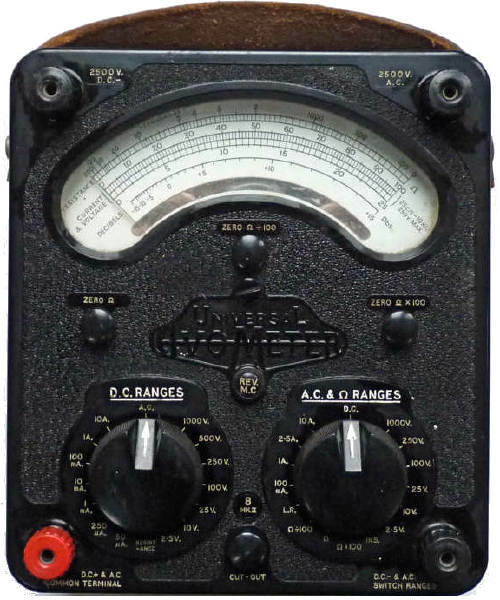 Though known for their Avometer general purpose multimeter, they made a wide range of test gear including valve testers. The Acton Lane works closed down at about that time - around 1986. The current range of products can bee seen at: http://www.avointl.com/ The firm now called Megger Ltd is based at: Archcliffe Road, Dover, Kent, CT17 9EN, United Kingdom. This advertisement is from 1953. The cost then was over twice the the average weekly wage of a male manual worker. The equivalent today  would be over � 1000! John Hancock who worked for Instruments to Industry Ltd of 8-18 Wyre street Manchester noted the pencil markings on the rear of the Mark3 scale plate above as probably having been made by himself! Mainly 8 MKII and tropical variants both of which I found had needed great efforts to kill. MkIII's were thin on the ground which makes me surprised it's a MkIII I think I recognise. Mk4s were rare and I did not see enough to form an opinion. By the looks of the MKIII it either had repairs or was returned for calibration. The second date is pushing it a bit as it was around then that I jumped ship and went to work at U.M.I.S.T. But there I serviced several AVO's that I had seen in my previous job. The premises were only a few minutes walk apart, so perhaps it came to you and it's previous owner via U.M.I.S.T. (Charles Husband who gave it to me lived in Sheffield which is not so far away). The more I look at the label the more I feel it's my child like J which has certainly changed over these many years.